The food we eat contains macro nutrients and micro nutrients. They all have a unique role in our diet. Their deficiency leads to various health problems and diseases. The food components are energy, carbohydrates, proteins, fats, vitamins, minerals, fibers and water. A healthy balanced diet is one which provides the right amount and proportion of necessary food components required by our body. It is not a fixed type but varies with respect to our age, gender, lifestyle, health status etc. The underlying idea is to provide to our body what is healthy and necessary in quantity & quality and to avoid what is not. One does not need a training & degree in nutrition to select healthy balanced diet. For this, we need understanding that why such diet is good for us and some common sense selection along with sensible balance of taste temptation & nutritive value. 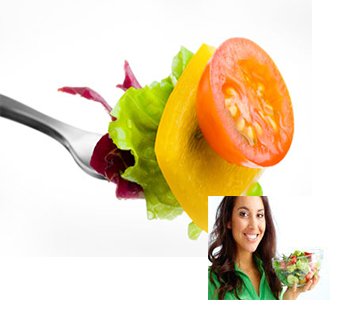 To select a healthy balanced diet, it is helpful to know some basic facts about food & nutrition. Food during different stages of life: One must be careful about nutrition during different stages of life. Every stage of life from infancy to old age has a different requirement. Infants and children have a rapidly growing body so they need high energy & protein diet along with higher intake of nutrients like calcium, phosphorus, vitamin D etc required for growing body and mind. Pregnant and lactating mothers need to be extra particular about food hygiene to avoid food poisoning & infection. They must choose nourishing diet for themselves and child. Fibres must be taken to avoid constipation. Pregnant mothers require supplements like folic acid, iron etc and lactating mothers require Vitamin D supplement. Students must make qualitative changes in diet like higher proteins to assist their mental work. Adults must be careful about energy balance to avoid obesity and make necessary changes in diet according to lifestyle. Old age also has specific requirement. One must take into consideration decreasing body needs and health status. On the other hand lack of care in taking required nutrition can severely affect health. The Nutrition Clinic at Care Well Medi Hub is an integral component of the nutrition education and counseling services provided by the qualified nutritionist. The clinic is staffed with highly qualified nutritionists in the areas of clinical nutrition, nutritional assessment, nutrition education, nutrition counseling, and management of many nutrition-related diseases and problems. Their wealth of knowledge is constantly updated. State-of-the-art methods are used to analyze food intake, assess baseline caloric needs, assist in the management of many nutrition-related diseases and problems, measure body composition, and help clients comply with healthful diets.